In the last two articles, ‘Importance of Thought Leadership for Corporate Growth’ and ‘Your Company’s Thought Leadership Has Eluded Business Development Success’, we focused on thought leadership. We talked about the importance of thought leadership for corporate growth, while also looking into factors in which a company might miss out on the benefits of thought leadership. 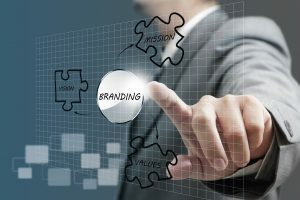 In this article, we’ll discuss the connection between thought leadership and brand awareness. Co-founder and CEO of Influence & Co., @johnhall, talks about how thought leadership strengthens your brand and humanizes it in the eyes of your customers. At the end of the day, people want to do business with people, not companies. Thought leadership offers you the perfect opportunity to personalize your brand. Every CEO and marketer knows that consumers now have easy access to information online. They can explore their issues and evaluate their options for resolving these issues. Nonetheless, the fact remains that buyers still need assistance to find the solution they’re looking for. Smart CEOs and marketing experts realize – buyers don’t “buy” a company’s product or service. They actually “buy into” a company’s perspective and approach to solving their problem. As buyers connect with your company’s thoughts and ideas, they start to trust you and consider you a reliable source and brand. This makes your company and its services more likely to get shortlisted in your buyer’s minds. This is where thought leadership comes in. Thought leadership is about sharing your unique point of view via insights and ideas. The right execution of thought leadership will spark new debates, discussions and inspire action. These ideas and their execution form the core of your brand which is experienced by your target market. As social media marketing strategist, @RKusemiju, notes while marketing and thought leadership are both very effective in building brand awareness, thought leadership is much rarer. It follows that companies who are big on thought leadership enjoy a level of brand loyalty and subsequent financial success which overshadows their competitors. While marketing can often be simply entertaining, thought leadership builds a much stronger brand by being educational and provocative. As companies across different industries struggle to differentiate their brands, thought leadership becomes more critical to their ability to stand out and drive their business. So as you can see, thought leadership’s journey to brand awareness always begins with the business leadership having a big vision and their ability to deliver something new on a specific topic. This makes customers and clients feel your business is capable of offering something none of your competitors have ever offered them. That’s the power of thought leadership in building brand awareness. As business leaders share their insights, the target audience perceives that company as having higher value. This invariably translates into a stronger brand loyalty and therefore a more robust financial performance. Regardless of how you define thought leadership, it will always form the core of your business’ communications strategy. By capitalizing on true thought leadership, you can inject a new life into your brand and maximize brand awareness.